Soaring through the skydoms on the airship Grandcypher, Rackam made a name for himself as a skilled helmsman before an accident caused him to swear off the skies forever. His encounter with you leads him to take the helm once more and become a steadfast ally. 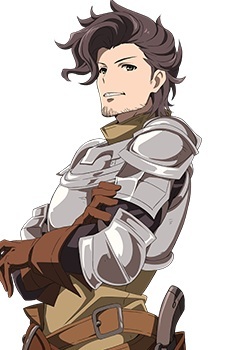 Though blunt, Rackam is remarkably dependable and enjoys looking after others.